The new Citroen C3 is an unforgettable drive, but such a pleasure you completely forget about driving and simply enjoy the drive. I’ve driven a lot of cars in my time, from premium to shopping trollies. In all that time, I don’t recall driving a car that was so well-tuned from roof to wheels that you just don’t have to think about driving. The Citroen C3 may be a ‘small’ car, but it is leagues apart from the small car market. Powered by what is undeniably a small, albeit turbo-charged, 1.2L engine, the sheer grunt from this little power plant is incredible. I didn’t look at any specs before driving this car, and I would have sworn it had at least a 1.6L engine, it was so effortless. Not only that, this power is coupled with a 6-speed automatic transmission. None of your usual rubbish either – this is a transmission with real gears – something usually the reserve of premium carmakers. These two factors alone make the C3 a joy to drive – effortless and smooth. Now, join those with an award-winning chassis platform and what you get is astounding. New Zealand roads are not the smoothest in the world, but the C3 glides over them with only the slightest of jiggles from the bigger bumps. Normally, with such a soft and smooth driving experience, it usually comes at the cost of handling. Not here! This thing corners like it’s on rails. Citroen advanced well ahead of the curve with suspension systems, from the quirky hydraulic systems where you could raise and lower the car to this modern-day marvel. It’s so impressive, I think I can finally forgive Citroen for ever producing the 2CV. As far as looks go, I don’t think I need to say too much. 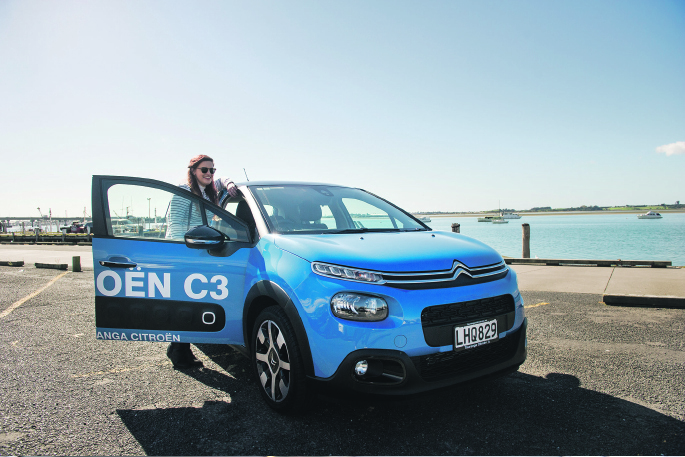 The C3 is a striking vehicle, and our test car’s colour made it stand out from the crowd. And those funny bubbles on the sides? Genius. They are the AirBump – air pockets to stop the brainless of the carpark world damaging your car with careless door openings and trolley rage. Step inside the C3 and the happiness continues. The interior is neither under nor over stated. Its simplistic lines mixed with funky air vents and a big touchscreen don’t seek your attention. The screen and all the gauges are clear and easy to navigate, once again allowing you to forget about the car and focus on the road. Speaking of which, I loved the visibility in this car. The more upright windscreen and lower door lines made for such clear viewing that nothing happening around us came as a surprise. You are almost transported to the outside world, with zero in-car distractions. Even controlling speed wasn’t an issue. Sometimes in an unfamiliar car you can find yourself driving too slow or too fast. In this car it seemed like I just knew how fast I was going, and the speedo was just there to confirm that. The big touch screen takes you through a world of options, all of them useful, simple to navigate and best of all, no overkill, which is usually the downfall of most of these systems. There’s also an optional built-in HD camera, with wide angle lens and free app. This camera can transmit your GPS location whenever you stop, and will also save a snapshot in real time if you are ever involved in an accident. The range of colours and trim options allow personalisation to the max, so you can certainly make your new Citroen C3 your own. 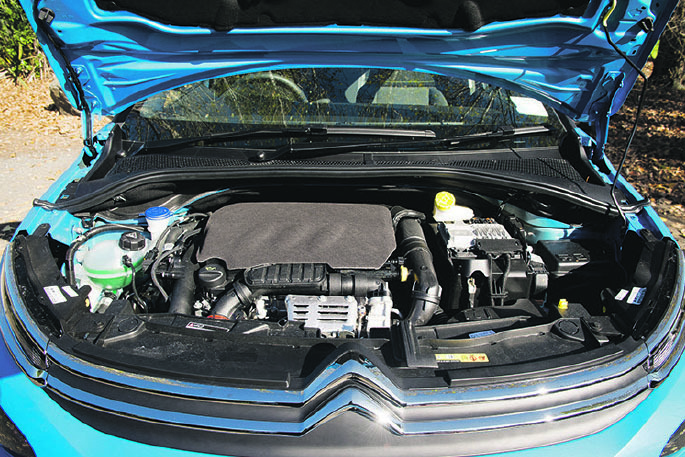 It’s very difficult to describe the driving experience of the Citroen C3 – and it is an experience. This car has undoubtedly been built to be unforgettable, and utterly memorable. I suggest you try it for yourself if you’re in the market for such a car, because you will not be disappointed. The funny thing is, after driving it myself, there is one thing that really stands out to me – just how few there are on the roads. I’m absolutely certain that this is due to people not giving them a go in the first place because seriously, if you had driven one, you most likely would own one. You can’t blame the price. 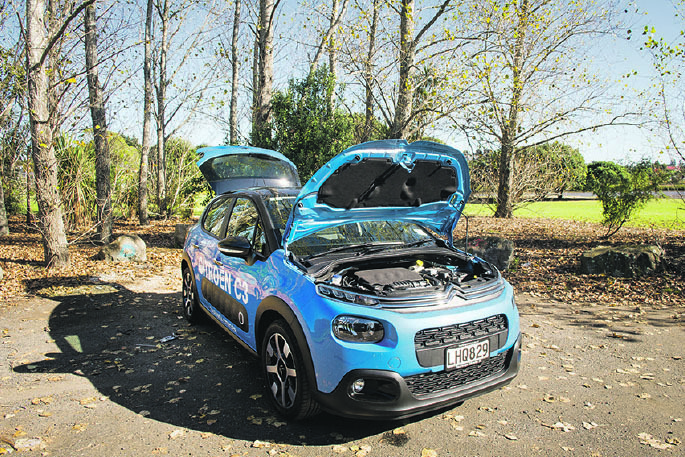 Our test car model was the C3 FEEL+ with RRP of just $27,990 + ORC. You can’t blame running costs either – the 1.2L engine uses just 4.2L/100km highway and 6.1L/100km for urban driving. That’s simply astounding for a car capable of 0-100km/h in just 10.9 seconds and a top speed of 188km/h! 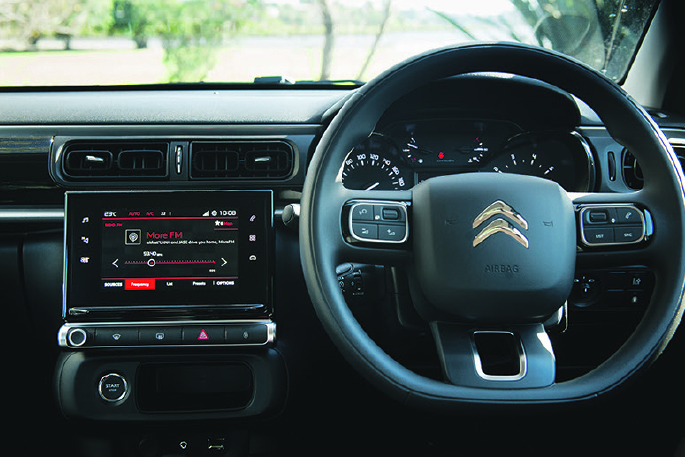 Go to Tauranga Citroen and check it out today. No, really, do it.